An attempt at a fun shot. 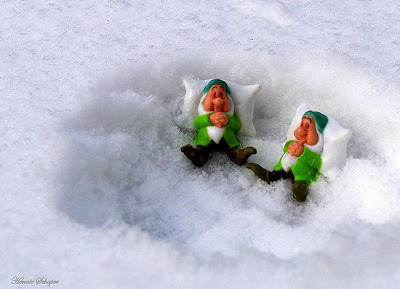 These are two Sleepy dwarf figurines from Snow White that they were giving away at the local supermarket - I christened the second one Snory. I arranged this little scene at the garden table, and never expected it to make Flickr Explore. But it did.